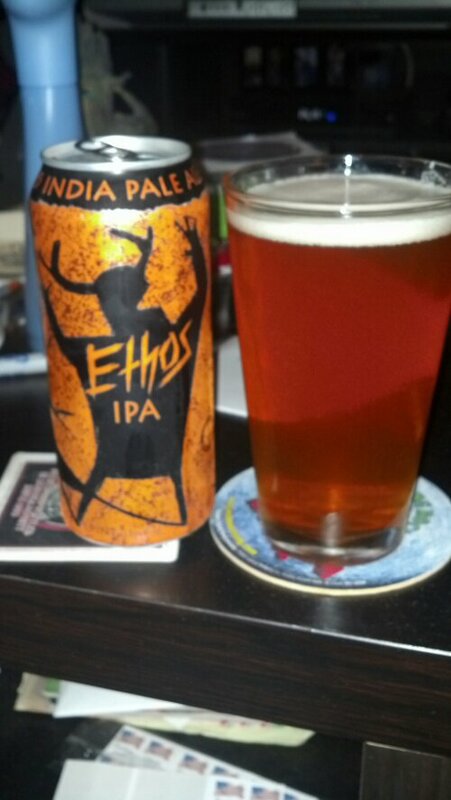 In this beer blog, we are going to get into Tallgrass’s latest India Pale Ale and it is called Ethos IPA. They are coming to Chicago market in June and I cannot wait. I know this brewery and my friends know that I am a huge fan of Tallgrass Brewing. If you read my earlier blog on their flagship called 8-Bit Pale Ale, you know the history of this awesome brewery. If you have not, please, read that beer blog to get up to speed on this brewery. Let us get into the beer. It has a clear copper color with a white constant head. The smell is earthy to it. The taste is piney to a fresh-cut grass with a dry hoppy aftertaste. It is kind of drinkable beer. It is one or two and I need to move onto the next one. The beer foretold in legend. Six types of hops are gathered from the corners of the world to make this legendary brew. This is no earthly IPA. They will write ballads, build monuments, paint caves, and sacrifice goats to this beer. They will drink Ethos and dance to shake the heavens. The aroma is the harbinger of the tastes to come. Big, bright, and beautiful, this beer exceeds all expectations and grants wishes. Twice dry-hopped and brewed with the aid of a dark alliance from another realm, this beer bestows upon you all the complexity of the hops’ flavors without overwhelming your senses. Ethos IPA is a gift to you, beer mortals. Drink it and fulfill your destiny.